Our Manicure and Pedicure Course covers nail care and massage of the hands and feet. This course covers both subjects, in a quiet and pleasant learning environment with small groups of up to four students in order to give maximum attention. Here at the AATT we believe that tuition for this course needs to be two days, as anything less than this will reduce the quality of teaching and learning. Our tutors have years of experience coming from main stream, third level education, with exemplary standards of planning and an emphasis on health and safety, risk assessment and ensuring the safety of our students at all times. 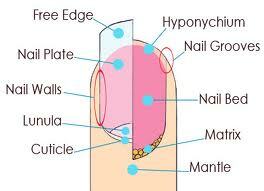 If you are looking for a career in nails our manicure & pedicure course is a must! Manicure and Pedicure are essential skills for a therapist – women want attractive hands and feet, and so now do men!!. Clients return on a monthly basis in order to maintain their nails. Great opportunity to sell retail products to your client – a lot of clients will purchase the products you have used on them. All that is needed is a starter kit. Having a regular manicure and pedicure proper filing techniques, massage, exfoliation and having paraffin wax or an intensive mask treatment, can drastically improve the condition and appearance of the nails, hands and feet. We have approved insurance from either the FHT or BABTAC for our students. 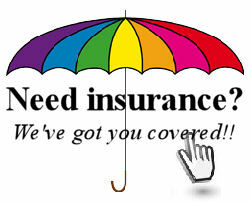 Please CLICK HERE to direct you to our ‘student insurance’ page. Our kit offers excellent value for money, and contains everything you'll need to provide a complete, professional waxing experience for your clients. We have put this kit together with small salons, students and mobile therapists in mind. Booking is simple. From the list below, find a date that suits you and click on ‘Book!'. You can then pay your deposit to secure your booking. Please contact us if you would like to pay your deposit by cheque. Final payment is 10 days before the course unless paying cash on the day - details will be emailed to you once we have received your deposit. Last minute bookings can be paid by cash on the day. The course last two days, covering manicures the first day and pedicures the second day. The course costs includes certification. We take payment via PayPal or cash. Manicures & Pedicures NVQ upgrade available 2 20/04/2019 21/04/2019 £240 Info Enquire Book! Manicures & Pedicures NVQ upgrade available 2 24/05/2019 25/05/2019 £240 Info Enquire Book! Manicures & Pedicures 2 26/06/2019 27/06/2019 £240 Info Enquire Book! 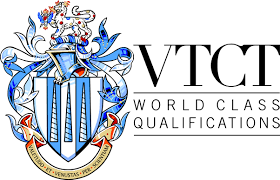 Manicures & Pedicures NVQ upgrade available 2 11/07/2019 12/07/2019 £240 Info Enquire Book! Manicures & Pedicures NVQ upgrade available 2 18/08/2019 19/08/2019 £240 Info Enquire Book! Manicures & Pedicures NVQ upgrade available 2 19/09/2019 19/09/2019 £240 Info Enquire Book! Manicures & Pedicures NVQ upgrade available 2 18/10/2019 19/10/2019 £240 Info Enquire Book!